While visitation schedules should ideally be resolved in a simple and respectful manner, this is not always possible. If you have any concerns about protecting your legal rights as a parent, you need to speak with a qualified Raleigh visitation rights attorney. 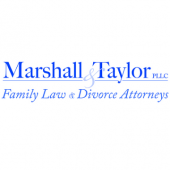 Contact the Marshall & Taylor Law Firm, P.C., today by calling 919-833-1040. To schedule a consultation with a Raleigh visitation rights lawyer, contact the Marshall & Taylor Law Firm, P.C., at 919-833-1040. We have the knowledge and experience needed to help you with any legal complications that may arise.